Packed with protein, fiber, and many great nutrients, this succulent acorn squash, stuffed with chicken, bacon, power greens, and whole lot of flavor fills you up without filling you out! Preheat oven to 400 degrees. Cut 1 inch off the top of each acorn squash and scoop out the seeds. (If necessary, cut off a small portion of the bottom so the squash can sit upright.) Put 1/2 Tbs of butter in the bottom of each acorn squash as well as 1 tsp. maple syrup into each squash. Take the back of a spoon and spread butter and syrup mixture all around the inside of the squash. Set squash on a sheet pan lined with parchment paper. Set aside. Sprinkle chicken breasts with salt and pepper and put in a baking pan. Bake chicken for about 20 minutes, or until cooked through. Remove chicken from oven and reduce oven heat to 350 degrees. Allow chicken to cool and cut into small cubes. In a large skillet, fry bacon until crisp over medium-high heat. Remove bacon to a plate and add shallots and garlic to the skillet with the bacon grease. Stir constantly for about a minute so the shallots and garlic do not burn. Add greens and sage and cook until greens are cooked through and slightly wilted. Scoop skillet mixture to a large bowl and add cubed chicken. Crumble bacon into the mixture and combine. Scoop equal amounts of mixture into each acorn squash. Top each squash with its lid and bake for 50 to 60 minutes or until squash is tender. Remove from oven and remove lids. Garnish with toasted pine nuts and dried cranberries, if desired, and serve immediately. Enjoy! If you'd like a printer-friendly version of this recipe, Click Here. I love pink peppercorns and have been searching for recipes where I could use these pretty little peppery dried berries. This exquisite salmon entree uses these peppercorns ground in the creamy sauce, as well as a sprinkling of whole pink peppercorns as a garnish. The taste is phenomenal. Preheat oven to 400 degrees. Place salmon fillets on a baking sheet lined with parchment paper. Sprinkle salmon with salt and pepper. Place salmon in the oven and bake for 12 to 15 minutes (until just barely cooked through). Place the remaining ingredients in a blender or food processor and puree until smooth. (This sauce makes about a cup. Save any leftovers for sampling on some of your other favorite dishes.) Remove salmon from the oven, drizzle with peppercorn sauce and enjoy! If you'd like a printer-friendly version of this recipe, Click Here. The taste of autumn! It's unbelievable how easy this soup is to make and even more unbelievable how quickly it disappears! The unmistakable flavors of pumpkin, butternut squash, and apple cider really come through in this creamy bowl of sheer bliss! - Garnish Ideas: Pumpkin seeds, sunflower seeds, nuts, sour cream, mascarpone cheese, herbs or anything that sounds good to you. Preheat oven to 450 degrees. Place squash and onion in a roaster pan. Drizzle with olive oil and sprinkle salt and pepper on top. Place in oven and bake for 20 minutes. Remove and allow to cool for 10 to 15 minutes. Puree squash mixture in a food processor. Scoop the squash puree into a large saucepan and add the rest of the ingredients (except the garnish). Bring to a low boil over medium heat. Garnish with your choice of toppings and enjoy! If you'd like a printer-friendly version of this recipe, Click Here. Mole (mo-lay) sauce is a traditional Mexican sauce that can be prepared in many different ways, but most mole's contain spice from chili peppers and a little dark chocolate. This savory version is a quick and easy way to make this rich, dark, and delicious sauce perfect for use on chicken, fish, and vegetables, as well as other savory dishes that are your family's favorites. Heat 1 Tbs olive oil over medium to high heat. Sprinkle chicken breasts with salt, pepper, and 1/2 tsp. Chinese five-spice powder. Add the chicken and cook, flipping once, until a golden brown on both sides but partially cooked, about 4 to 5 minutes. (Chicken will finish cooking with mole sauce later). Remove chicken to a plate. Heat remaining 1 Tbs olive oil in same skillet over medium heat. Add the chili powder, garlic, and remaining 1/2 tsp. five-spice, and stir for 30 seconds. Add 1/2 cup water and stir to combine. Add peanut butter, soy sauce, sugar, and cocoa powder; and whisk until combined. Add remaining cup of water and bring to a simmer. Sprinkle in corn starch and whisk until mole starts to thicken. Return the chicken to the skillet and cook until chicken is cooked through, flipping occasionally. Serve the chicken and mole sauce with your favorite side dish and enjoy! For a printer-friendly version of this recipe, Click Here. "Today is a day that will never come again. Combine greens, walnut oil, vinegar, pepper, salt, peas, and cheese in a food processor and process until smooth. Heat a large nonstick skillet over medium-high heat. Add 2 tsp. of the coconut oil to the pan; swirl to coat. Crack 2 to 3 eggs into skillet. Reduce heat to medium and cook until whites are set. Repeat with the remaining coconut oil and eggs until all eggs are cooked. (You can reduce amount of coconut oil if you're cooking with less eggs). Toast the bread slices. Add 1 Tbs of pesto on each slice and add an egg. Sprinkle with a little more pepper and Enjoy!! If you'd like a printer-friendly version of this recipe, Click Here. "See the light in others and treat them like that is all you see." If anyone told me you could find nice, plump, delicious dumplings in this world for only one point each, I wouldn't have believed it. 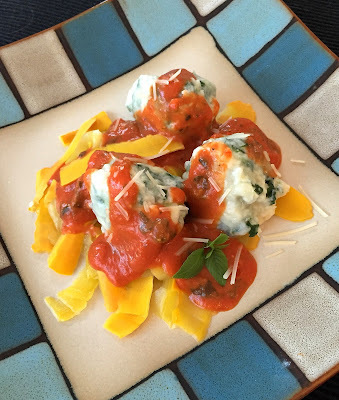 These pillowy and creamy spinach and ricotta balls are simply divine! In a large bowl, combine all of the ingredients together down to marinara sauce but not to include the marinara sauce. Sprinkle about 1/4 to 1/3 cup flour in a separate shallow bowl. Drop a large tablespoon of the ricotta mixture into the flour to coat, and gently roll into a ball. Set the ricotta balls/dumplings onto a separate plate until all the ricotta mixture has been used and you have about 24 dumplings. Place marinara in large skillet over medium heat; cover and keep warm. Bring a large pot of water to a boil. Reduce heat to medium-low. Add about 5 dumplings at a time to water and cook for 6 minutes (do not boil). Remove dumplings from sauce pan with a slotted spoon and place in the marinara to keep warm. Repeat with remaining dumplings. Enjoy over pasta or, as shown in the picture, boiled squash strands. If you'd like a printer-friendly version of this recipe, Click Here. A fruity twist on a classic dish! This pico de gallo has been magnificently modified with mangos!!! The already delicious dish is even more summery fresh with chopped mangos added. With enough fruit to refresh and enough heat to satisfy, it's becoming the #1 choice recipe this summer! Combine all ingredients and dive in! :) If you'd like a printer-friendly version of this recipe, Click Here! I love a good seasoned Panko crust on my fish but have had trouble keeping the crust on the fish when pan frying. Until now. Adding a small layer of creamy mayonnaise to the fish before adding the Panko helps the Panko to stay on the fish, thus giving you a delightfully-seasoned crunch with every mouth-watering bite! Heat a large skillet over medium-high heat. Add butter to skillet. As the butter is melting, spread 1/2 Tbs lite mayo on each side of both fish. Sprinkle fish with salt and pepper and then add 1/2 Tbs Panko on each side of both fish, gently pressing the Panko down into the mayo, so it sticks to the fish. Pan fry fish for 2 to 3 minutes on each side, or until your desired degree of doneness. Remove and enjoy with your favorite sides. If you'd like a printer-friendly version of this recipe, Click Here. "Always act like the person Mr. Roger's knew you could be." Cook pasta according to directions. Drain in a colander over a bowl reserving 1/4 cup cooking liquid. Return pasta and 1/4 cup liquid to pan, cover, and keep warm over low heat. Heat a large skillet over medium-high heat with olive oil. Add asparagus, white parts of the green onions, and garlic, and sauté until asparagus is crisp-tender. Add wine, salt, and pepper. Cook for about 1 minute. 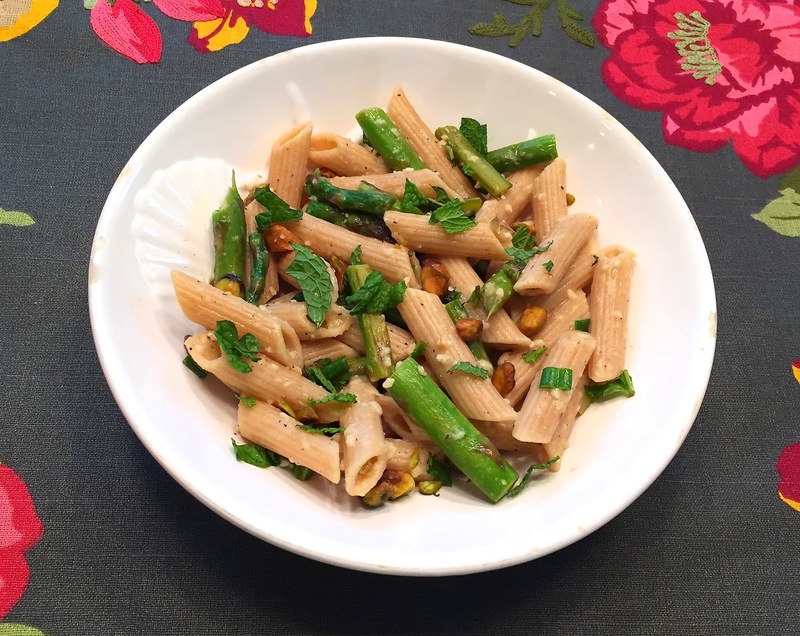 Add asparagus mixture to pasta along with the green onions, butter and cheese. Stir in pistachios. Divide among bowls and garnish with fresh mint. Enjoy! If you'd like a printer-friendly version of this recipe, Click Here. Cut an avocado in half. Remove seed. Place each half inside of a ramekin. Break an egg into each hole. Season. Cover with a paper towel, and microwave for 1 1/2 minutes! 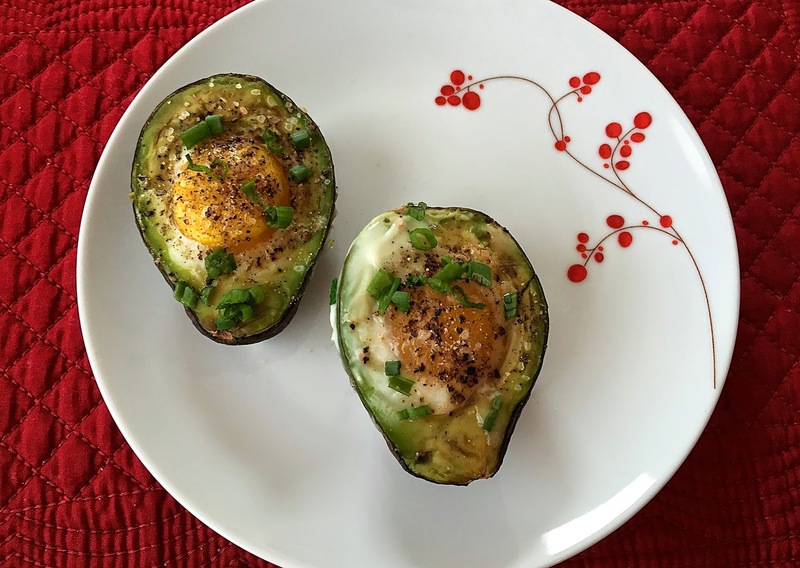 Enjoy a protein-packed breakfast, lunch, or diinner! A meal in minutes, anytime of the day! Can't get your kids to eat cauliflower? That's all going to change! :) This loaded cauliflower with melted cheese, crisp bacon, and just the right about of herbs, will put this recipe at the top of your list! Preheat oven to 425 degrees. Place cauliflower in a large microwave-safe bowl with 1/4 cup water, cover, and microwave about 10 minutes, or until tender. Drain and set aside. In a large bowl, combine 3 strips of the crumbled bacon, chives, dill, salt, mayonnaise, sour cream, and cheese. Mix in cauliflower and combine well. Place cauliflower mixture into a baking dish and sprinkle remaining 2 strips of crumbled bacon on top. Bake for 15 or 20 minutes, until cheese is melted. Remove and sprinkle a little more fresh dill on top. Enjoy! If you'd like a printer-friendly version of this recipe, Click Here. *NOTE: This recipe called for 2 cups shredded cheese. I only used one; however, if you prefer using 2, the total points per serving would be 6. The total points plus per serving would be 6.5. "If you're lucky enough to be different, don't ever change"
Heat a skillet over medium to high heat. Add butter and let it start to melt. Rub olive oil over fish fillets and sprinkle fish with salt, pepper, and Old Bay seasoning. Place fish in skillet and let sear 4 to 5 minutes without touching it. While fish is searing, in a small bowl, whisk half and half, wine, and lemon juice. Turn fish over carefully. Add half and half mixture to skillet and start spooning the mixture over the fish, continually, for 3 more minutes. Remove fish to plate. Spoon a little more of the basting sauce over the top of the fish if desired, and sprinkle fish will fresh dill. 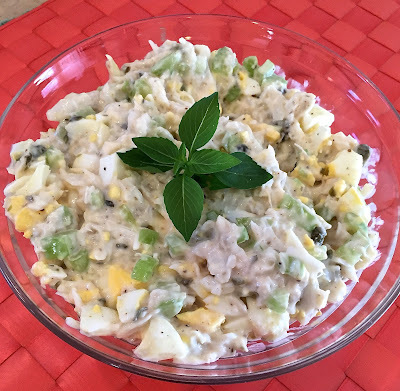 Serve with rice or your favorite side. Enjoy! If you'd like a printer-friendly version of this recipe, Click Here. Pass the cheese sticks please... and don't stop with one! 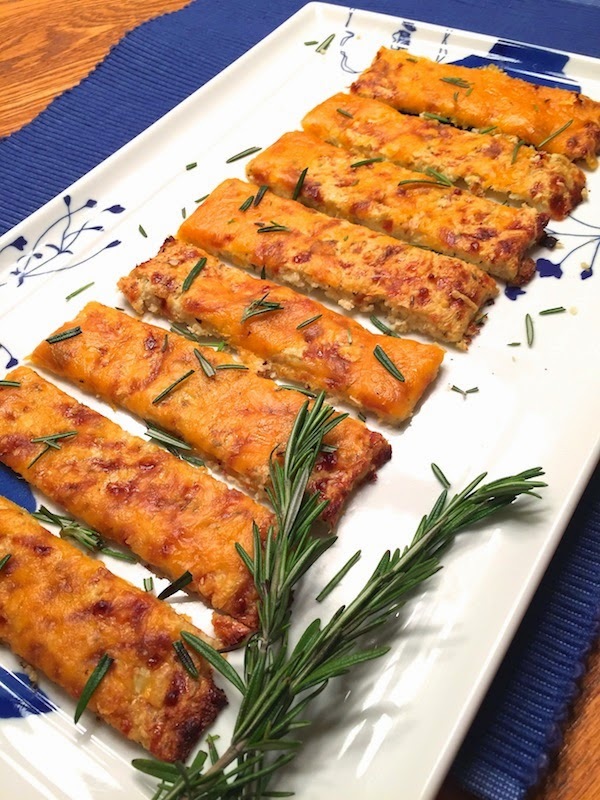 These guilt-free, healthy, cauliflower cheese sticks are a delight! Using cauliflower to make pizza crust or bread sticks is a snap and so delicious, you won't even know they're low calorie! Preheat oven to 425 degrees. Spray a large cookie sheet or pizza pan with Pam cooking spray. Cut up cauliflower into florets and add to food processor. Pulse until cauliflower resembles rice. Place cauliflower into a microwave-safe bowl and microwave for 5 minutes. Drain cauliflower, getting out excess moisture (or pat with paper towels removing excess water). Place cauliflower in a large bowl and add eggs, 2 cups of the mozzarella cheese, oregano, salt, and pepper. Combine and place the mixture on the greased cookie sheet. Form into a large rectangle (for cheese sticks) or a circle (if you're using this for a pizza crust). Bake for about 30 to 35 minutes, until the cauliflower is golden brown. Once golden brown, remove and sprinkle on remaining 1 cup of mozzarella cheese. Place back in oven for another 5 minutes or until cheese has melted. Remove and let cool slightly. Sprinkle with fresh rosemary if desired, slice, and enjoy!!! If you'd like a printer-friendly version of this recipe, Click Here. These bright little baguette appetizers topped with pea pesto and prosciutto make a delicious and nutritious snack for a get-together or for your own enjoyment! Combine green peas, basil, and olive oil in a food processor. Pulse until the mixture becomes smooth. Place a tablespoon of pea pesto on a slice of the french bread baguette and top with a little piece of prosciutto and 1 tsp. ricotta cheese. Sprinkle with pepper and enjoy! If you'd like a printer-friendly version of this recipe, Click Here. "If you can't stop thinking about it, don't stop working on it." A very quick and healthy meal in about ten minutes? I've got this! So easy yet so flavorful. If you're running low on time but don't want to reach for something unhealthy, this recipe is for you! Combine all ingredients until well blended. Form into four spinach patties. Placed spinach patties in a large skillet sprayed with Pam cooking spray, over medium-high heat. Cook for four to five minutes on each side (the patties should have a nice golden-brown crust on each side). Remove and serve immediately. Sprinkle with mozzarella and tomato pieces or enjoy on a low-point hamburger bun! If you'd like a printer-friendly version of this recipe, Click Here! "Shoot for the moon. Even if you miss, you'll land among the stars!" Savory and sweet is the perfect combination for this pineapple chicken entree. Nothing could be better, except maybe topping it off with a bit of fresh cilantro! Good eats! Preheat oven to 400 degrees. Melt butter in a saucepan over medium-high heat. Stir in ketchup and brown sugar. Whisk flour and vinegar together until smooth and add to sauce pan once brown sugar dissolves. Add soy sauce, Worcestershire sauce, a half cup of the crushed pineapple, pineapple juice, and Splenda. Arrange chicken in baking dish and pour pineapple sauce on top. Place in oven, and bake for 25 minutes. Remove chicken and place on three plates, spooning pineapple mixture over the top. Sprinkle with a little fresh cilantro and divide the fourth cup leftover crushed pineapple on each plate of chicken. Enjoy! If you'd like a printer-friendly version of this recipe, Click Here.